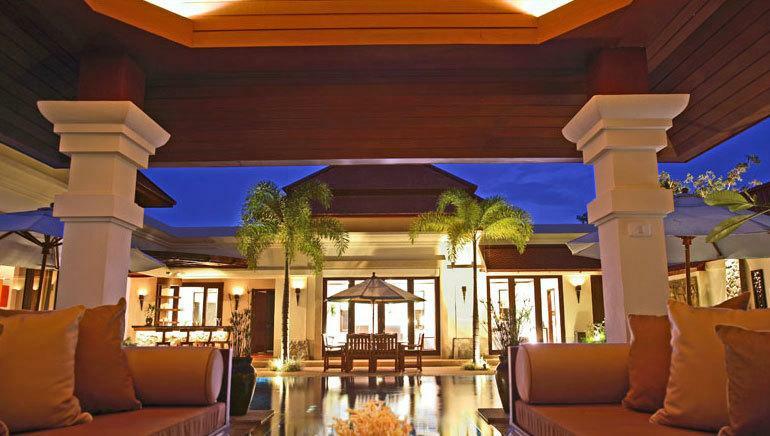 This villa is a peaceful, private walled garden residence in a secure, gated community. You are guaranteed complete privacy during your stay, as no other buildings are visible from the beautifully landscaped grounds. 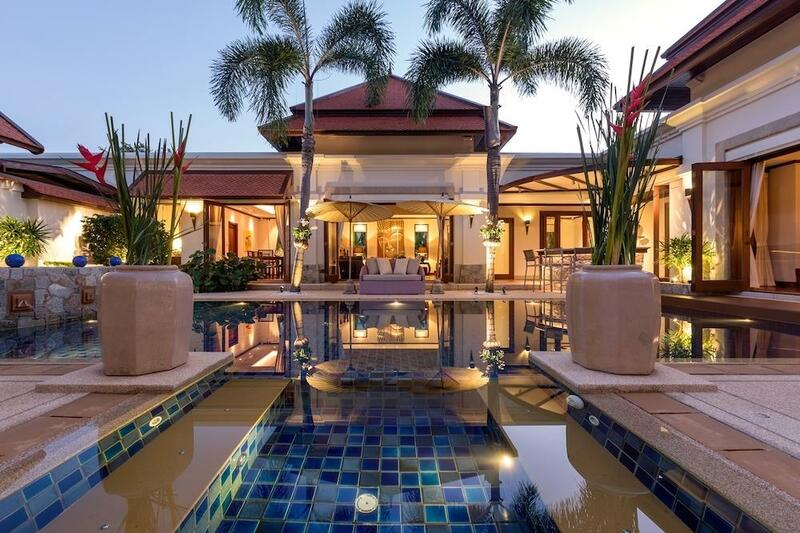 The single-story Thai style home is built around a large infinity pool, surrounded by a lush, tropical garden; one of the largest in the community. 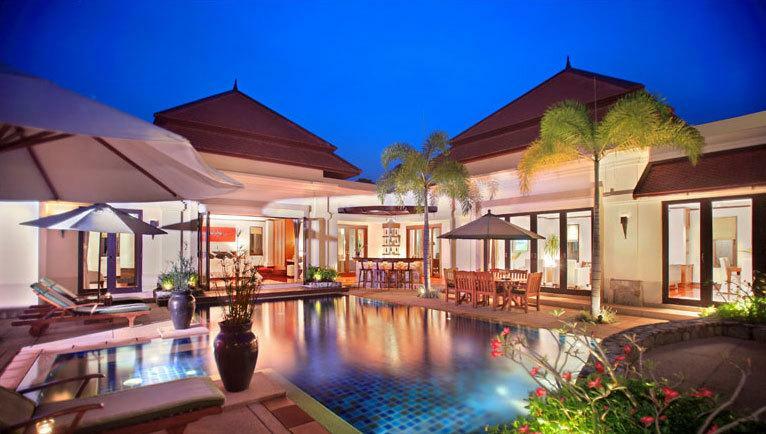 Air-conditioned throughout, the villa comes with full maid and laundry service. When the sun goes down, the garden is spot-lit, creating an enchanting atmosphere to wind down from your day or to kick-start your evening with surround sound music. For those who want nothing more than peace and relaxation, there is little need to leave the house. 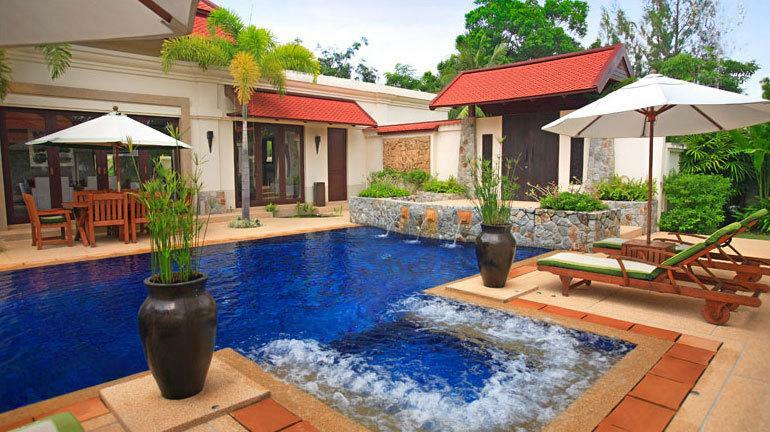 With prior notice, a private chef can be arranged and traditional Thai masseurs can work their magic in the privacy of your own garden paradise. One of the first things you will notice entering this home is how we have managed to create an environment that is open and airy, yet intimate. Playing with space and colour, we have created a home environment that exudes the tranquillity of the Thai culture with all of the conveniences of modern western technology and culture. The result is nothing less than breathtaking. The open-plan living / dining room is bright and warm, with more than enough technology to please everyone in your group. There is a large flat-screen TV, surround-sound, DVD, CD and iPod docking connection. 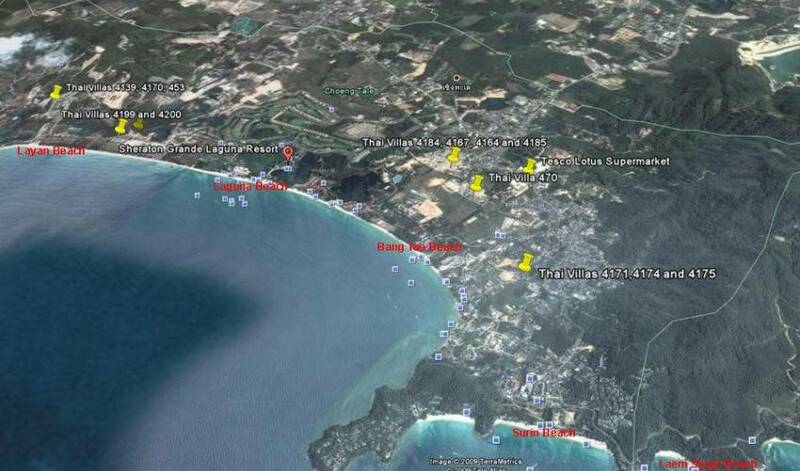 There is a satellite TV with a variety of English-language channels showing movies, news and sports, just to name a few and the signal is fed to all rooms for independent viewing. Sound can even be directed to the pool and garden. High speed internet is available throughout the villa via Wifi for those bringing their laptop computers. The spacious western-style kitchen gleams with marble counter tops and a central island fully equipped with state-of-the art appliances. 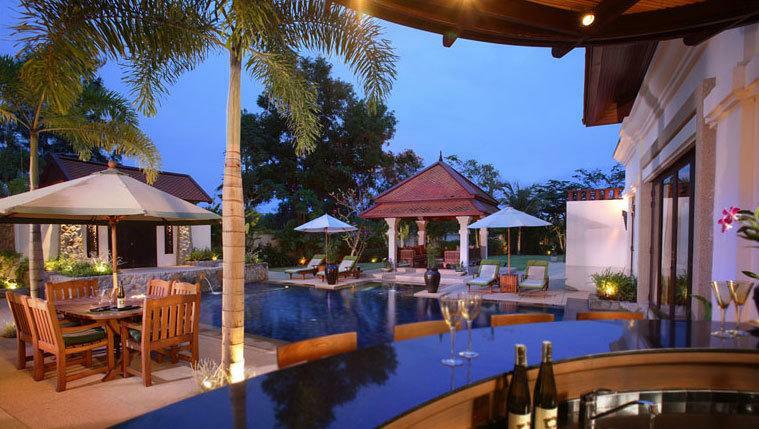 Or if you wish, we can arrange for a chef to visit the villa as often as you wish to prepare traditional Thai or other cuisines during your stay. 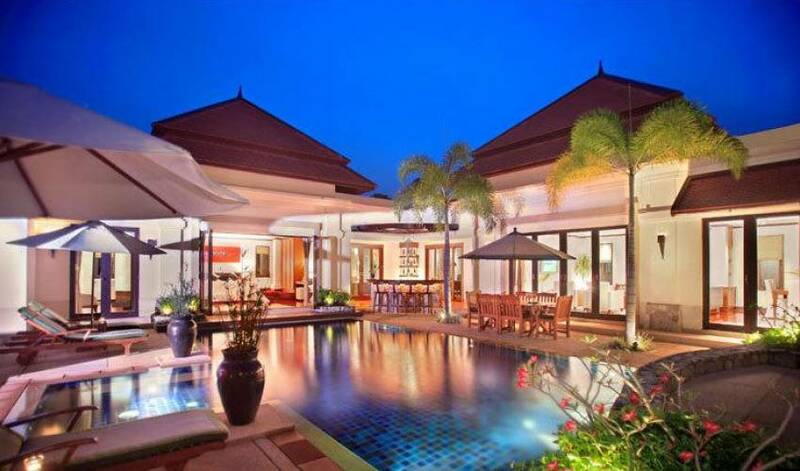 The villa comfortably sleeps six people in three bedrooms. All three bedrooms offer a built-in mini bar, DVD/CD player, flat-screen satellite TV, iPod docking station and an in-room safe. 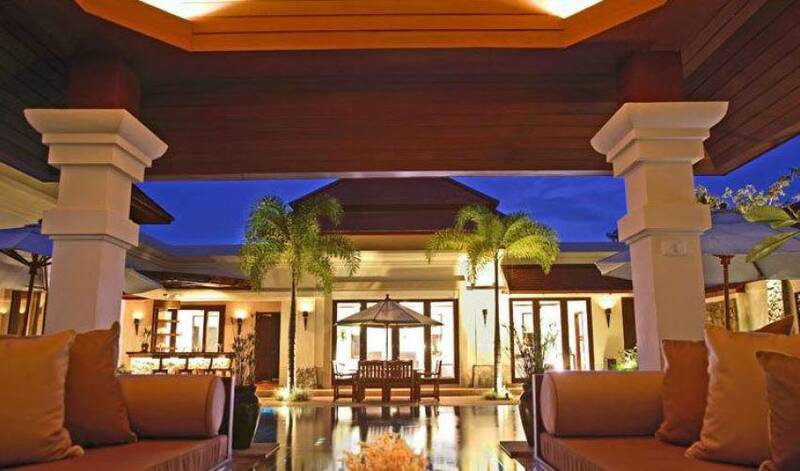 There is a well-equipped office in the villa designed to keep you in touch with the rest of the world -- if you want to be. You will find a fax and printer, and wifi internet connection. And should you require additional guest space, the sofa in the office converts to an extra bed, and connected to the office is a bathroom with walk-in shower and toilet that doubles as the pool bathroom for guests that want to shower or change clothes. 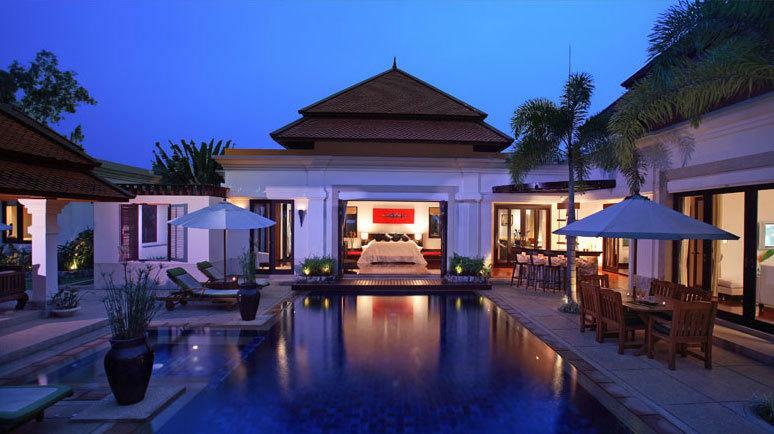 The stunning infinity pool is the epicenter of this property, and all other areas of the villa are designed to make the most of this magical place. 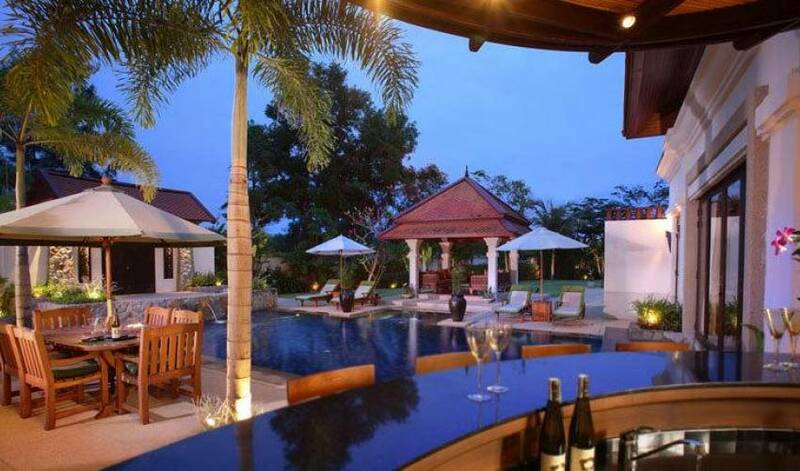 Around the pool there is a dining area which is set up for 6 people, which could accommodate more if necessary, and a curved marble bar equipped with a fridge and sink. 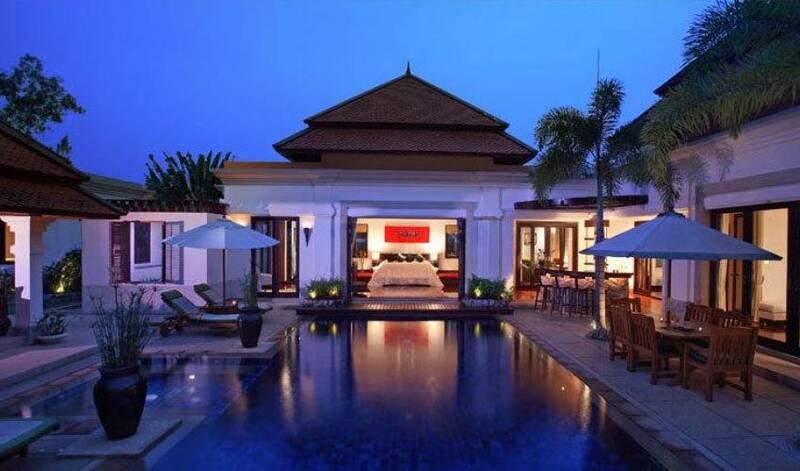 Close to the pool is a large sala which is ideal for evening cocktails, quiet reading, meditation and massages which can be arranged locally. Surrounding the sala is a tropical garden which includes another outside shower hidden next to the master bedroom for those guests who want to rinse off after a swim. Strategically placed speakers allow music to played throughout the pool and garden area, all easily controlled by the merest touch of a touch-pad screen. There is a decorative fountain at one end of the pool and Jacuzzi area, adding sound and beauty an already perfect lounging area. 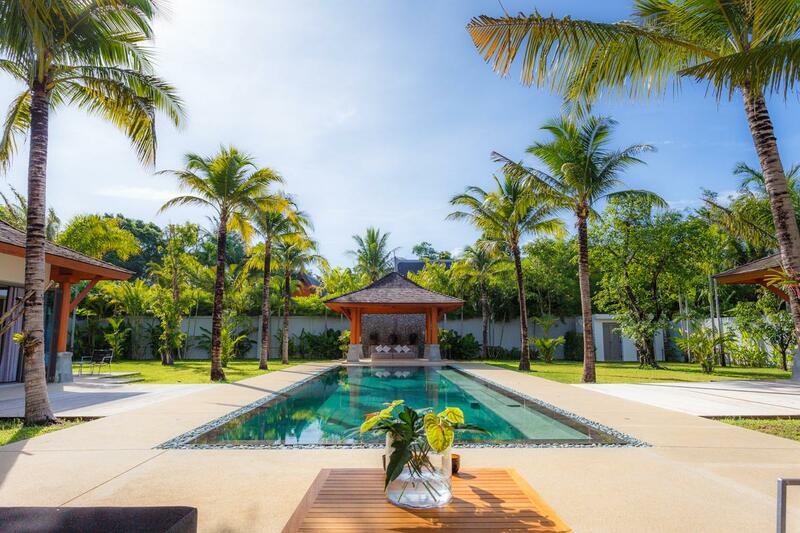 The villa is less than 30 minutes drive from Phuket airport, and is only a five minute drive from the five-star Banyan Tree Hotel & Spa and Phuket´s finest beaches. 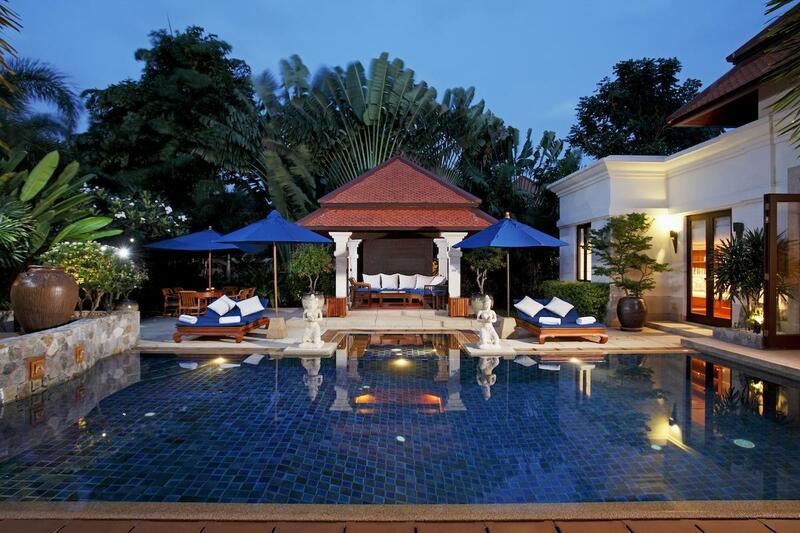 Less than 10 minutes in the other direction is the grandiose luxury of the famed Amanpuri Hotel. 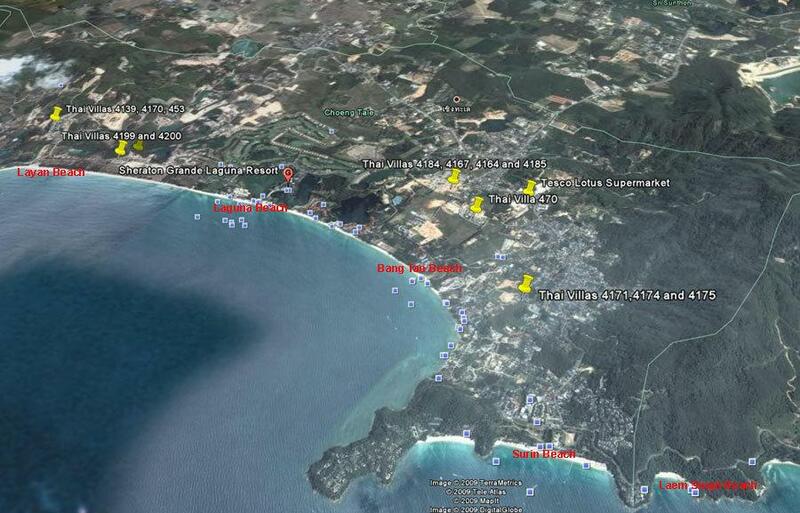 There are numerous restaurants in the area catering to every taste, ranging from lively local cantinas to fine dining establishments.